Location: Les Junies, in the Meurthe-et-Moselle departement of France (Lorraine Region). 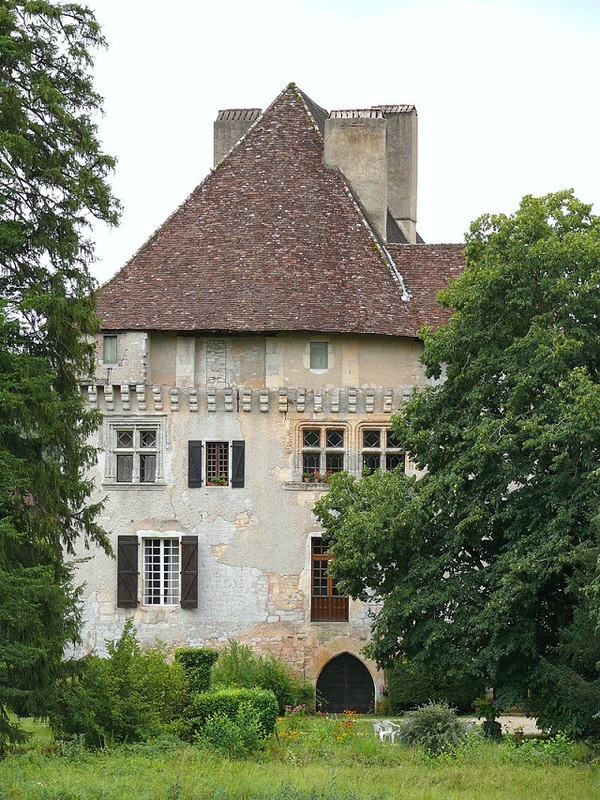 Notes: The castle of Junies is located in the commune of Junies, in the department of Lot.About 1214, Guillaume de Cadaillac, bishop of Cahors (1208-1235), gave the land of Canourgues to Bertrand de Jean, a Cadurcian merchant enriched in trading and banking, cahorsin. This donation came at the time of the Albigensian crusade. It is possible that it is linked to their financial participation for the benefit of the bishop who fought alongside Simon de Montfort and obtained that the county of Cahors is attached to the bishops of Cahors. The de Johns will give their name to the land they have acquired, the Joanies, which will gradually become Junies. Benedict II of John died in 1263. He illustrated the integration into the local nobility of a merchant thanks to his financial success obtained by trading wool and wine on all the commercial places, the fairs of Champagne, Flanders , The ports of the Mediterranean and the Atlantic, England and Italy. Jean's belonging to the great merchants of Cahors, who engaged in financial activities, loans with interest and exchange. The bishops of Cahors made a lawsuit, towards 1325, to Benedict of John, knight of the king, to obtain the high justice to Junies. Cardinal Arnaud de Via, a relative of both, decided in Avignon that Benedict de Jean could enjoy high justice, but should recognize the land of the Junies as a noble, free, honest but unreserved fief of the Bishop of Cahors. Philip I of John, lord of the Junies, is faithful to the King of France Philip VI and received the royal domain of Cazals. In 1355, a noble and powerful baron, Messire Benoît de Jean, Lord of the Junies and Salviac, son of Philip I of Jean, went to the English party and welcomed the Prince of Wales, Edward of Woodstock, to Bordeaux. Bertrand de Pestilhac, with his brother-in-law Bertrand de Pestilhac, has ravaged the strongholds of the environs, which have remained faithful to the King of France, such as Les Arques, Lherm, Castelfranc, Duravel, Pontcirq, Belaye and Puy-1'Eveque. In 1368, in retaliation, the king of France caused the castle of Junies occupied by English companies to be besieged by the troops of Marshal de Sancerre. It is taken and demolished. His son Philip II of John continued to support the English party. He died without posterity after 1381. His widow, Cécile de Cardaillac bequeathed the land of the Junies to her brother, Jean de Cardaillac-Bioule, archbishop of Toulouse. Jean de Cardaillac-Bioule sold the Junies to the Comte d'Armagnac in 1386.